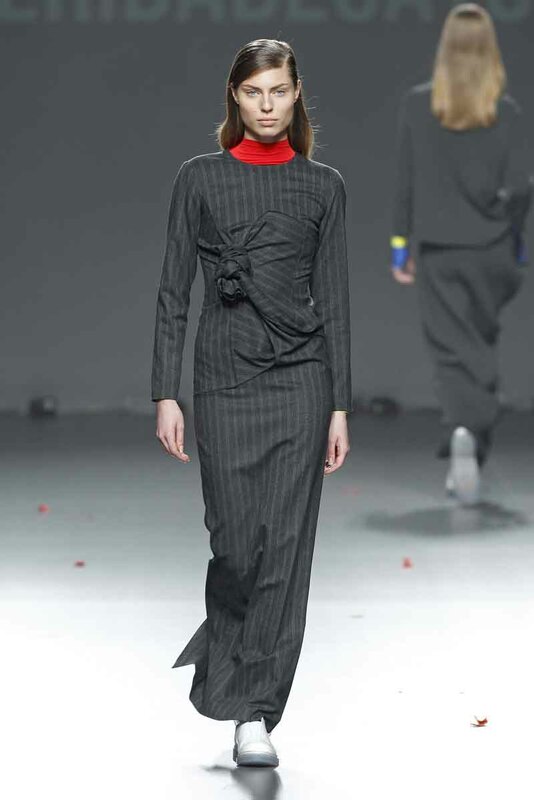 On Tuesday, February 18, 2014, at the Feria de Madrid, Heridadegato unveiled the Heridadegato Fall 2014 collection under the auspices Samsung EGO Innovation Project held in conjunction with Mercedes-Benz Fashion Week Madrid. The collection for the Fall/ Winter 14/15 starts working classical tailoring. This classicism changes with geometry, evolves and creates new shapes. A homeless dandy wearing wool, classic stripe and then mixes it with technical materials and sport details, true essence of HERIDADEGATO. Oversized apparels work together in a very unisex collection pretending to blur the limit between male and female. Lapels fall,trousers get bigger than ever and jackets fit bizarre. Clothes don’t seem to adapt to the body, they hid it and dress up our bodies.